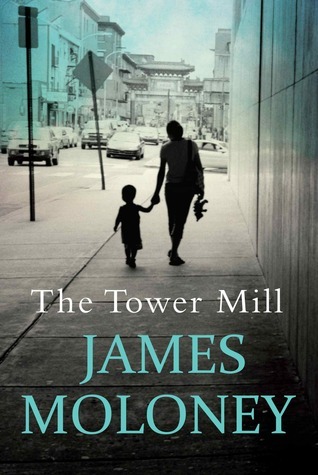 This is James Moloney’s first adult novel which examines an unusual family, their relationships and their history, against the backdrop of Queensland in the 1970s. A gripping family drama that plays out against a turbulent and controversial political era, this book tells the tale of Susan Kinnane. She is the precocious daughter of conservative parents who spurns the attention of fellow university student Mike Riley in favor of a passionate romance with activist Terry Stoddard. When the South African Rugby team goes on the road, Terry, Susan, and Mike join the anti-apartheid demonstrations outside the Springbok’s hotel near the iconic Tower Mill. Late in the night, the riot police charge, and the terrified students are hunted into the darkened park below. What happens next changes each of their lives forever. Eight months later, Susan gives birth to a son, Tom, whose destiny is shaped by a man who is not his father, and by the events of that shocking night. As a lawyer working in London decades later, Tom must return to make peace with the past. This novel combines the youthful passion and enthusiastic activism of the 1970s with the racism of the apartheid era in a vibrant and tumultuous story that will enthrall readers to the final page. The stunning sequel to Parvana and Parvana’s Journey is now here! Parvana, now fifteen, is found in a bombed-out school and held as a suspected terrorist by American troops in Afghanistan. She could tell the woman was watching her through the small window in the door. The girl kept her back against the door and didn’t move. The girl remained with her back against the door. Silent. She heard the woman’s boots walk away down the hall. She stood and waited, listening hard to see if the boots would come back. Jim Stynes never took the easy road, on or off the field. He loved a challenge. He pushed himself, and worked hard to help others realise their potential. In June 2009, Jim was diagnosed with cancer and given nine months to live. The diagnosis caught him by surprise – he was 43, healthy and fit – and he didn’t have time for illness. He was a busy father, husband, brother, mentor, businessman and president of Melbourne Football Club. Knowing his odds weren’t good, Jim gave his all to trying to beat the disease. He embraced life, and made his journey public. His ability to use mind over matter, to never give in, to overcome pain, to believe in himself and his will to succeed gave him two extra years on the prognosis. He defied expectations time and time again. Unflinching in its honesty, this is an extraordinary insight into a man who lived fearlessly, with a vision for how to achieve the best life possible. 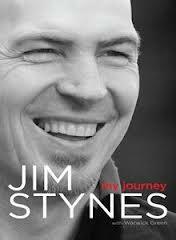 Jim Stynes’ legacy is an inspiring story about getting the most out of every single day, whatever you do.